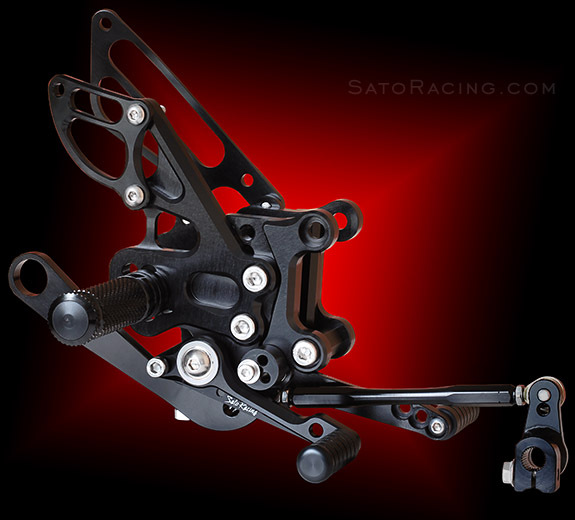 SATO RACING Rear Sets for 2009 and up Aprilia RSV4 models with the standard shift linkage (non-APRC) are made from high grade billet aluminum anodized in your choice of Black, Silver, or vivid Gold finish. 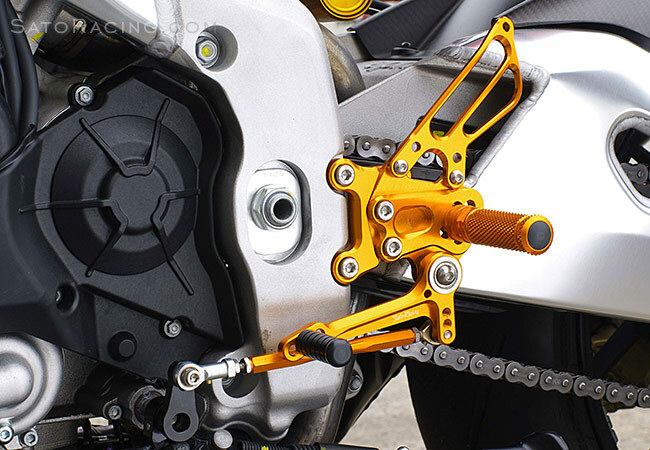 Modular design features a wide selection of adjustable mounting positions for the step plate and foot peg, ranging from stock-equivalent position to more aggressive positions that bring your feet higher and further back compared to stock. 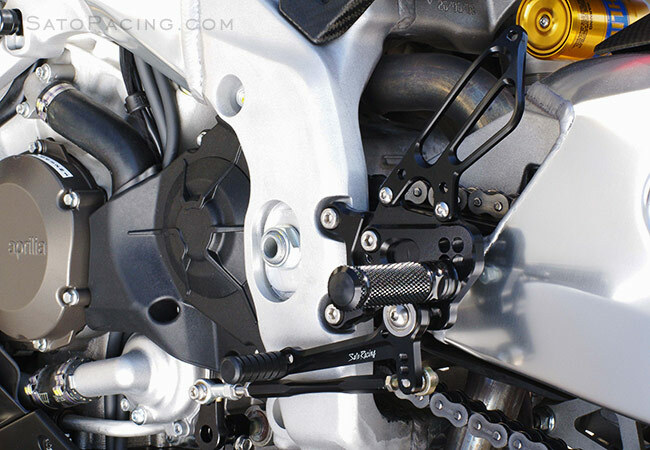 These Rear Sets let you easily switch from stock shift to reverse shift pattern by rotating the change arm. 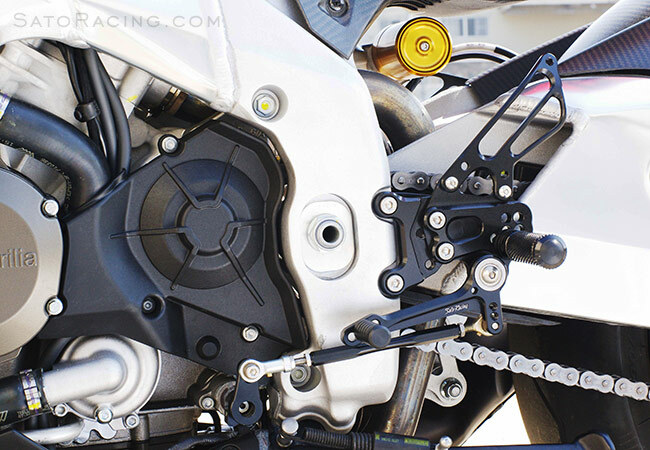 in several ways to help you find the best possible riding position. 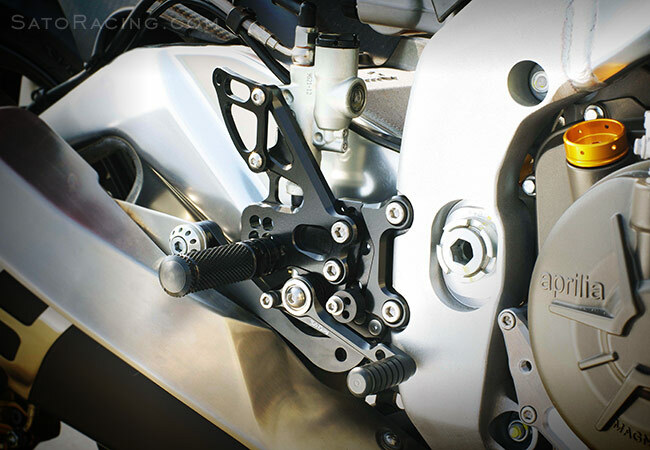 standard Pedal Tips are made of tough Delrin. Other styles of Pedal Tips are also available. 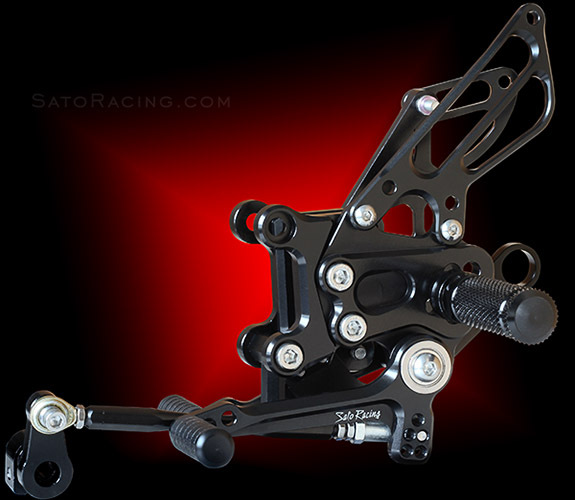 The shift and brake pedals employ double stainless bearings for smooth, precise pedal movement. 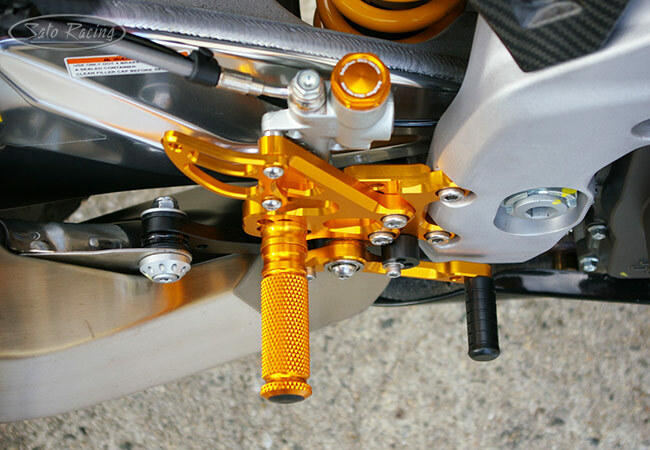 You can switch from stock shift to reverse shift pattern by flipping the shift arm the opposite direction. 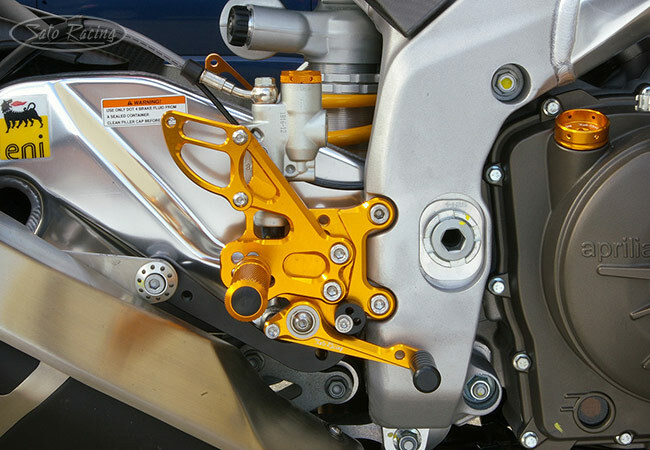 The shift stroke can be adjusted by changing the mounting position of the shift rod on the pedal. 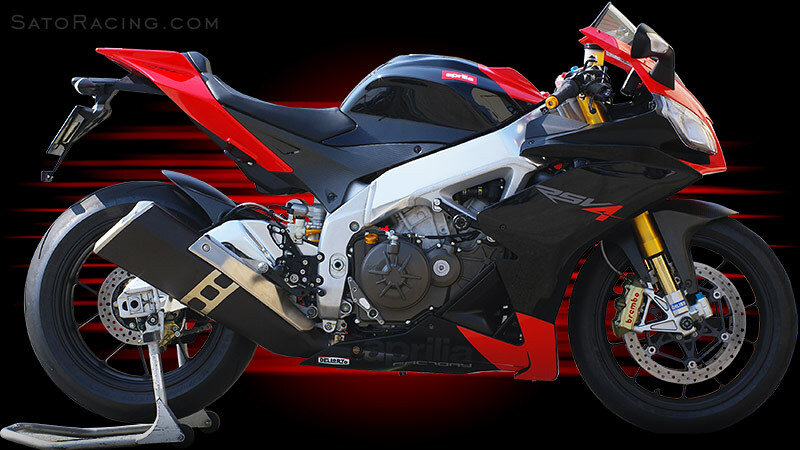 These Rear Sets are designed for the non-quickshifter version of RSV4. 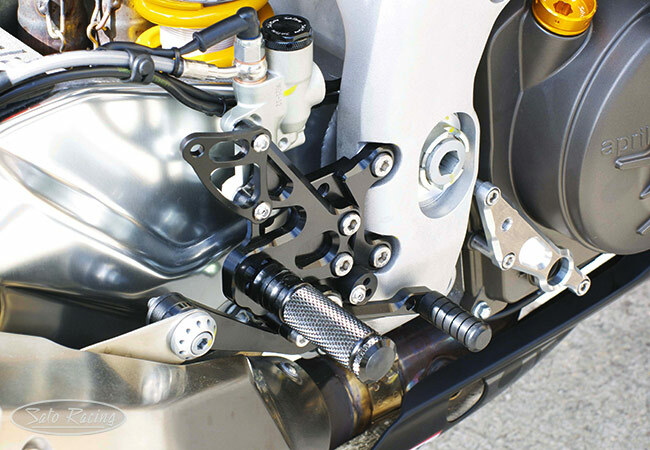 For the quickshifter (APRC)-compatible version of these Rear Sets, Click Here.